In a large metal or glass bowl, cream the butter and sugar together. Add the eggs and beat until well mixed. Add the flour mixture to the egg mixture along with the milk, lemon juice and vanilla. Mix well. Fold in the peach pieces. Bake in a well-greased waffle iron according to manufacturer's instructions. 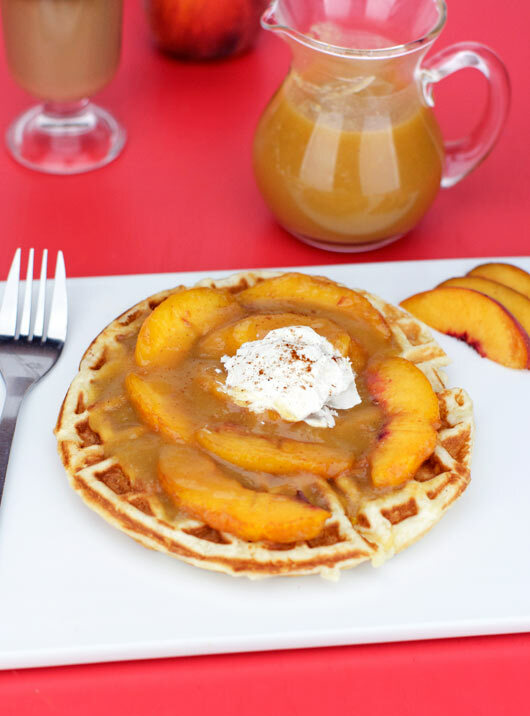 The peach waffles seen here were served with homemade peach syrup, peach slices and whipped cream. For super peachy peach waffles, top with peach slices and whipped cream. See referenced bonus recipe for homemade peach syrup. Recipe number 1853. Submitted 10/13/2006.